The wonderful folks at Tin Can Knits have created The Simple Collection, a “learn to knit” series of patterns to help develop the craft of knitting. The collection is perfect for newer knitters building skills and confidence, and also a treat for more experienced knitters who enjoy modern lines and simple details. 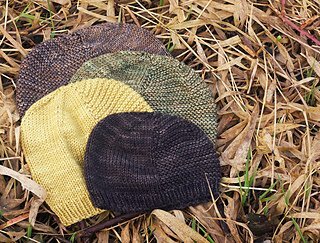 In this class, we will learn hat skills while knitting the adorable Tin Can Knits “Barley Hat” in worsted weight yarn. This cute, modern hat will allow you to practice knitting in the round on circular and double pointed needles, as well as shaping the crown of the hat and following a pattern. In this class, you will cast on and join work for knitting in the round, learn to use both circular and double point needles, to produce garter and stockinette stitch in the round, and to decrease in the round. You will also learn to follow simple stitch patterns and read and follow a pattern. This is an advanced beginner workshop designed to further develop skills taught in the AYLR “Let’s Begin” and “Let’s Continue” workshops. If you haven’t completed these, you should be comfortable with basic knitting terms, casting on, binding off, producing and distinguishing between knit stitches and purl stitches, producing simple combinations of knits and purls, and knitting in the round. Materials Included: Please use yarn purchased from this shop. You will receive a one-time 10% discount on your class yarn. Requirements: This is an advanced beginner workshop designed to further develop skills taught in the AYLR "Let's Begin" and "Let's Continue" workshops. If you haven't completed you should be comfortable with basic knitting terms, casting on, binding off, producing and distinguishing between knit stitches and purl stitches, producing simple combinations of knits and purls, and knitting in the round.